Raw and bittersweet, The Bad Dreamers’ impassioned “Reach You” is an intimate, heartwrenching ’80s indie pop lament of distance and disconnect. “We had a flower, but we planted it in a snowstorm,” croons California’s The Bad Dreamers in his impassioned new song. Raw and bittersweet, “Reach You” is an intimate, heartwrenching ’80s indie pop lament of distance and disconnect. Atwood Magazine is proud to be premiering “Reach You,” the latest single off The Bad Dreamers’ upcoming debut album, Songs About People Including Myself (out October 25, 2018). The new musical project from Grammy-nominated songwriter/producer/filmmaker David Schuler, Los Angeles’ The Bad Dreamers crafts high-energy indie pop tailor-made to lift your spirits and move your feet. Debut singles “Who You Run To” and “The Meaning of Life” exhibit strong influences from modern acts like The 1975 and St. Lucia, alongside ’80s sound staples such as Tears for Fears, Genesis, Duran Duran, and more – making The Bad Dreamers a must-know for any fan of those nostalgic synthpop and propulsive “retro pop” vibes. It’s a winning combination that plays out again and again on Songs About People Including Myself. While this is his debut solo effort, The Bad Dreamers is by no means David Schuler’s first musical foray. The accomplished creator has written and produced songs with P!nk, John Legend, New Politics and more. The Bad Dreamers came about unexpectedly when Schuler needed music for a new short film of his, called The Offer: Song after song poured out, and soon he had a full album’s worth of material. Following on the heels of the sweet cool winds of “California Winter,” The Bad Dreamers’ new single “Reach You” evokes a deep aching through passionate cries and pained protest. His vivid descriptions paint a dark portraiture of loneliness, insecurity, and uncertainty. It’s difficult, if not totally impossible, to be heartfelt, heavy, and smooth all at once: Nobody weeps gracefully, period. Nevertheless, The Bad Dreamers finds a way to embody strife while keeping his poise, collapsing into himself through bone-chilling vocal wails that sear themselves into our memory. Consider some of your worst relationship moments, when things were at an all-time low and there seemed to be absolutely nothing you or your partner could do to mend things. Such is the magnitude of “Reach You,” a song teetering on emotional cliffs, ready to plunge into darkness’ depths at a moment’s notice. 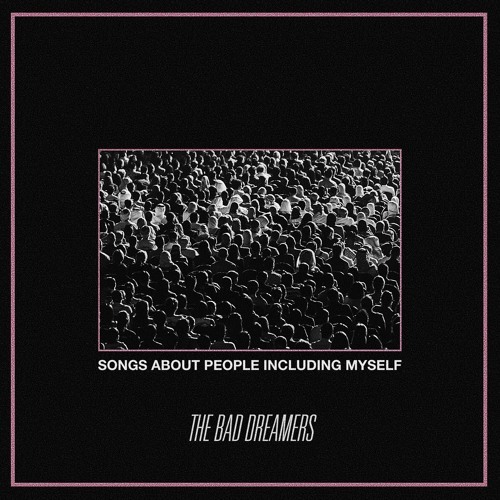 Stream The Bad Dreamers’ latest single exclusively on Atwood Magazine: Debut album Songs About People Including Myself is out October 25, 2018! Catch The Bad Dreamers at The Satellite in Los Angeles on November 6th – tickets here!